Wondering What to do When Injured in a Truck Collision in Monrovia, Los Angeles, California? Truck accidents can cause devastating injuries, sometimes even fatalities resulting in wrongful death accident claims. If you or a family member were the victim of a tragic truck, car, motorcycle or other motor vehicle accident in Monrovia or anywhere in Los Angeles county, please contact our truck accident injury lawyers who will provide excellent legal advice and will assist you during your personal injury claim, ensuring you get maximum compensation for your damages. Our Monrovia, L.A. truck accident injury attorneys and legal team are aggressive yet empathetic towards victims involved in a catastrophic truck crash, particularly those involving big rig vehicles, 18-wheelers trucks, and other commercial vehicles. In addition, our expertise includes assistance in wrongful death claims of individuals who died in a fatal truck accident, car crash or any other type of accident. To know more about our personal injury lawyers, please visit our home page, our lawyers profile, and our testimonial pages. Monrovia is a city located in the foothills of the San Gabriel Mountains in the San Gabriel Valley of Los Angeles County California. According to U.S. 2010 Census, the total population was 36,590. 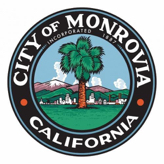 Being the fourth oldest general law city in Los Angeles County and the L.A. Basin, Monrovia was incorporated in 1887. 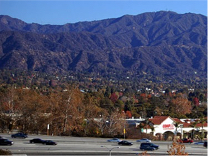 Once a sparse community of orange ranches, Monrovia, L.A. has grown into a residential community. Have recovered more than $100,000,000.00 for our personal injury, wrongful death and property damage clients. Provide immediate guidance with medical care, specialists, property damage repair and settlement, advances, medications, prescriptions, etc. 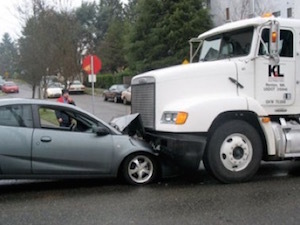 So, if you were injured in a truck accident or car accident in Monrovia, Los Angeles, or someone you know was injured, suffered a catastrophic injury or was even killed in a truck collision and has a pending personal injury or wrongful death claim, please contact us now for an absolutely FREE & CONFIDENTIAL CONSULTATION AND CASE EVALUATION. For our quick and easy way to contact us 24/7, simply click here to fill-out your case details in our contact us form and tell us all about your truck accident personal injury case or other injury accident. Our legal experts will get back to you in no time. You can even send us your queries by sending us an email at info@WalchLaw.com.